What a cracking combination of words, eh? We are delighted to report that ITV2 has commissioned a new time travelling jazz sitcom which has been touched by a few TVO-friendly folk. 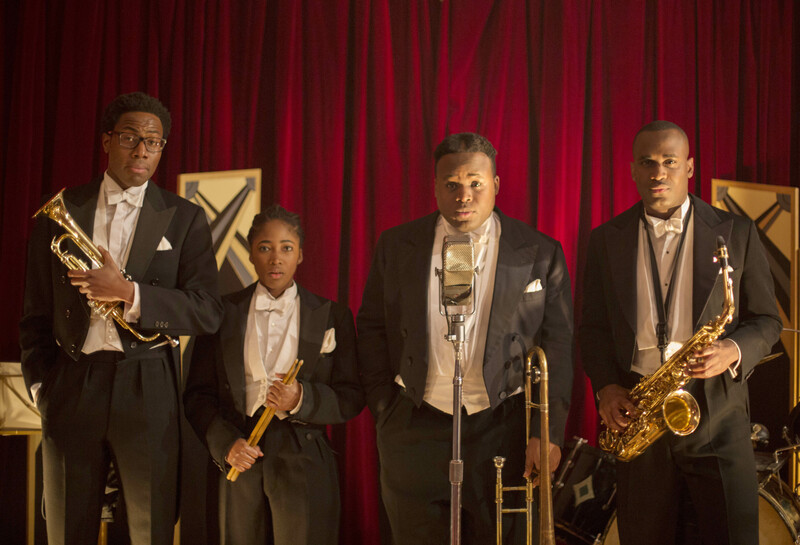 Timewasters is a brand new comedy from Daniel Lawrence Taylor about a struggling four-piece South London jazz band who travel back in time to the 1920s via a urine-sodden lift in a dilapidated block of flats. Stuck in the past after their ‘time machine’ is destroyed, the gang decide to explore, before quickly discovering that the Jazz age is a lot less genteel and a lot more shady than TV period dramas would have you believe. Aided and abetted by a pair of oddball twins and a few 1920s luminaries, the band are forced to navigate the parties and pitfalls of the Roaring Twenties while searching for a way back home. Series creator/writer Taylor also stars as one of the musicians, alongside Kadiff Kirwan (who you may remember from the marvellous Crims), Adelayo Adedayo (Skins, Some Girls) and Samson Kayo (Youngers, The Javone Prince Show). Kevin Eldon guest stars as inventor of the TV, John Logie Baird, and Barunka O’Shaughnessy is script editor – so the script is going to be cracking. Taylor has said of the show: said “You don’t see that many black people in period dramas, or in time machines, so I thought I’d try to write about both. There are so many great people on board and I can’t wait to get started”. So far there’s no news about when Timewasters will air, but we’ll be sure to keep you posted.